pour olive oil, honey, curry, grated ginger, and chopped garlic into the pan. Add salt and pepper, bring the resulting mixture to a boil. Then put the peeled shrimp (leave only the tail) and simmer them, turning over periodically, over medium heat for about ten minutes. Mango peels and cuts into cubes. Cut cucumber, pepper, herbs and shrimp (leave some of the shrimp for decoration). Add corn, mayonnaise. Put the resulting salad in tartlets, decorate with shrimps on top. Peel the shrimp (tails left). Pour them with olive oil, salt and leave for a few minutes. Then fry them in a hot, oil-free pan for one to two minutes. 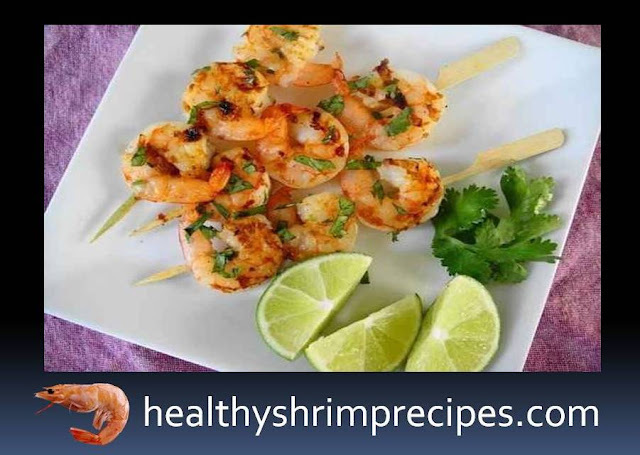 String shrimps on long wooden skewers, sprinkle with lime juice, pepper and garnish with chopped greens. Together with shrimps, you can string cherry tomatoes, pineapples and any other vegetables or fruits to your taste. Add flour and salt in a bowl. In the second bowl - a slightly beaten egg. Peel the shrimp (tails left). Preheat the vegetable oil in a frying pan with a thick bottom and high sides. Then roll each shrimp, first in the first bowl, then in the second, and at the end - thoroughly in breadcrumbs. You can serve a snack with your favorite sauce, lemon slices, and greens. Finely chop and fry the onion. In a hot frying pan, melt the butter, gradually stir the flour, preventing the formation of lumps. After a few minutes, add cream, stir until the mixture thickens. In the resulting mass add onions, salt, and pepper. Boil the shrimps and peel them, then put them into special molds for the julienne - cocoon (leave some of the shrimps to decorate the snack). Pour them with a creamy mass, sprinkle with grated cheese on top and bake in the oven, preheated to 200 degrees, for five to ten minutes. 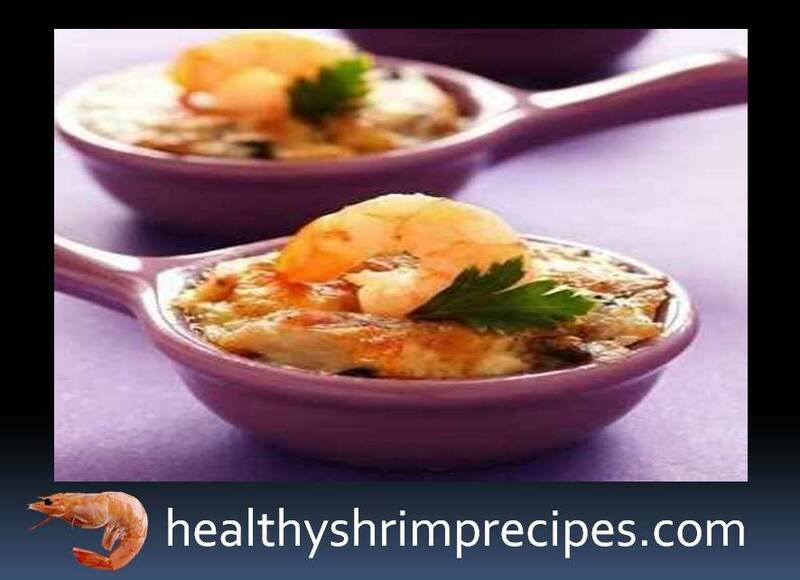 Before serving, decorate with greens and shrimp. Finely chop the tomatoes, add chili pepper and lime juice to them, mix. Fry chopped garlic and onion in a frying pan in vegetable oil. Add peeled shrimp, mix. Then add the tomato mixture. Simmer for another five to ten minutes, stirring occasionally. A few minutes before being ready to put chopped greens. Heat the tacos in the oven for five minutes. Put on them chopped iceberg lettuce, then tomato-shrimp mixture. Before serving, pour sour cream on the appetizer and decorate with greens. dried basil - 1 tsp. Eggplants, without peeling, cut into cubes, fry them in vegetable oil, salt, and pepper. Add olive oil to another pan, add chopped garlic, peeled shrimps and basil. Simmer, stirring for five to seven minutes. At the end of the fire a little salt. 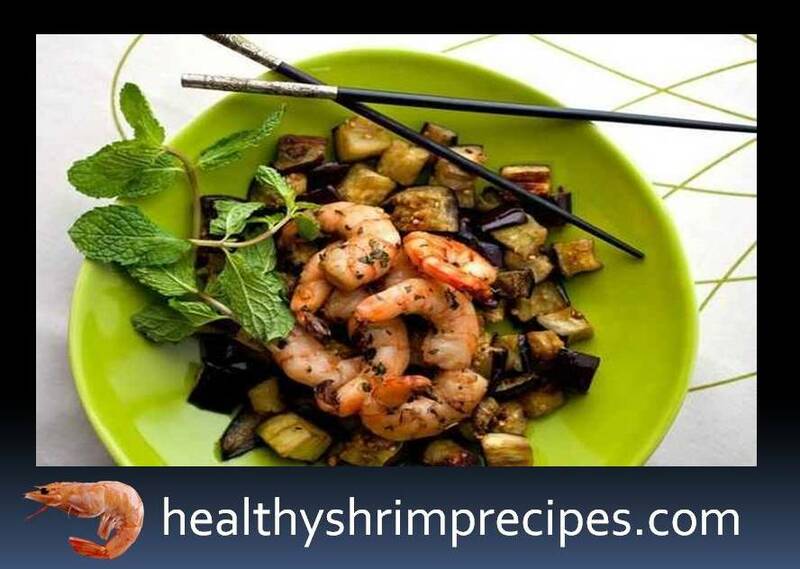 Put eggplants on a large plate, on them - shrimps. If desired, sprinkle with hard cheese. Decorate with greens. 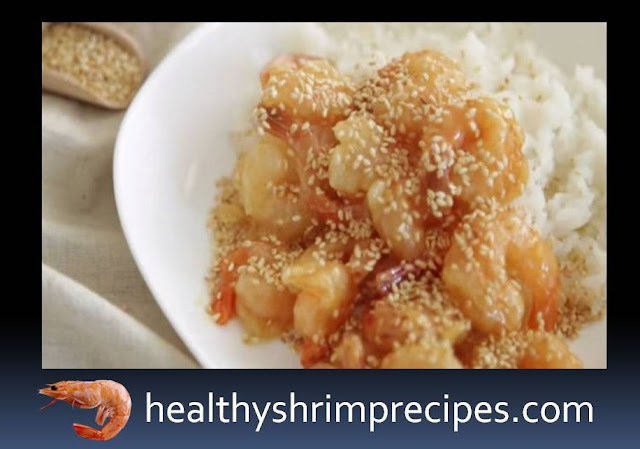 Honey glazed prawns are a very tasty and crispy dish. It goes well with rice. 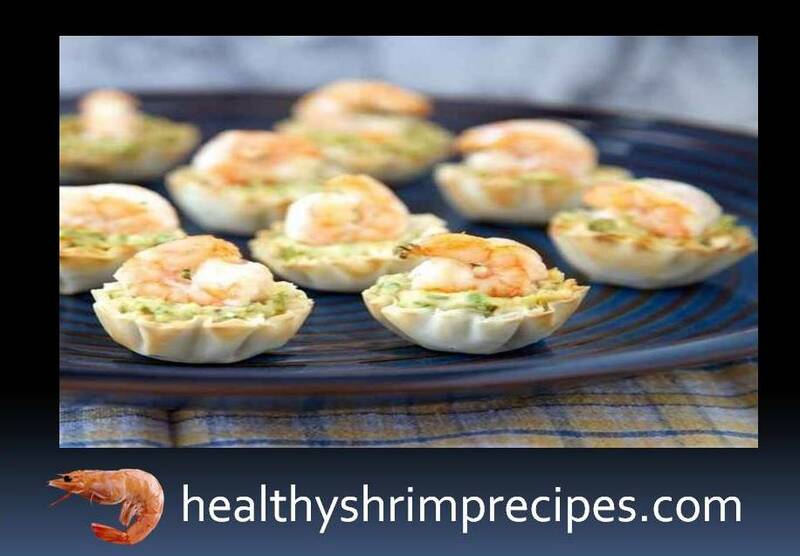 Defrost the shrimps, remove the shell, thoroughly blot dry with paper towel. 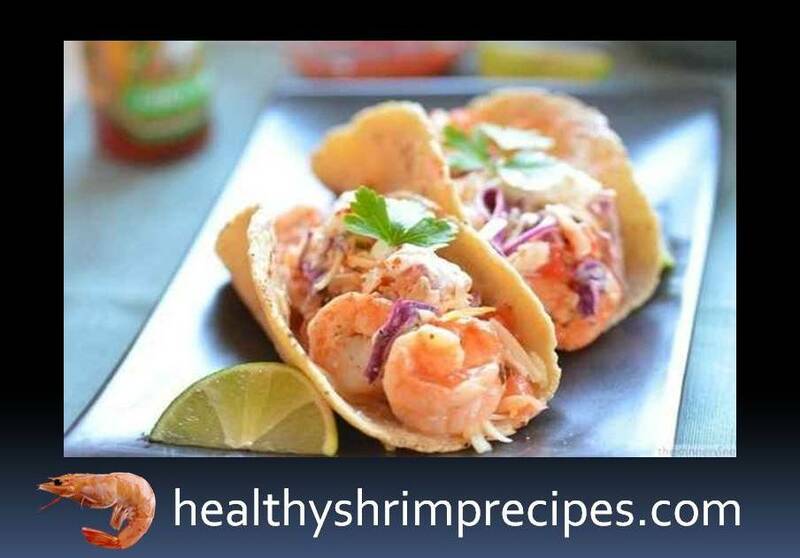 Roll each shrimp in starch, shake off the excess. The remaining starch mixed with flour and salt, pour water with lemon juice and stir with a whisk. The dough should be thick, but not too much. It should coat every shrimp well. Heat oil for deep-fat in a deep saucepan. 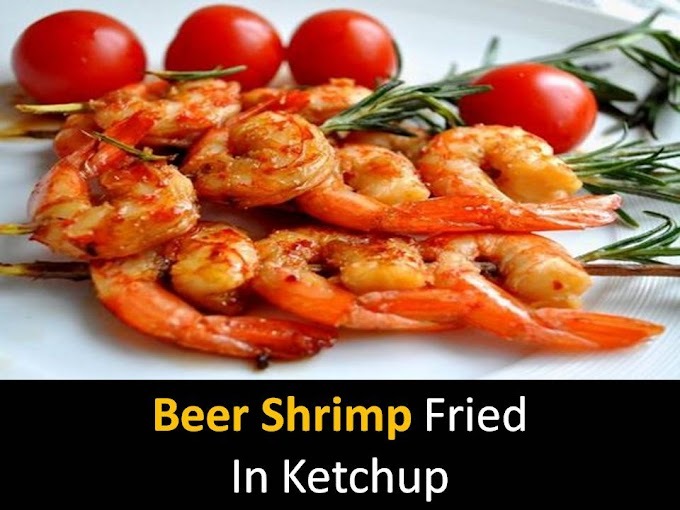 Shrimp dipped in batter and fry in deep fat for about 3 minutes. Heat the honey in a small saucepan over low heat to make it thin. 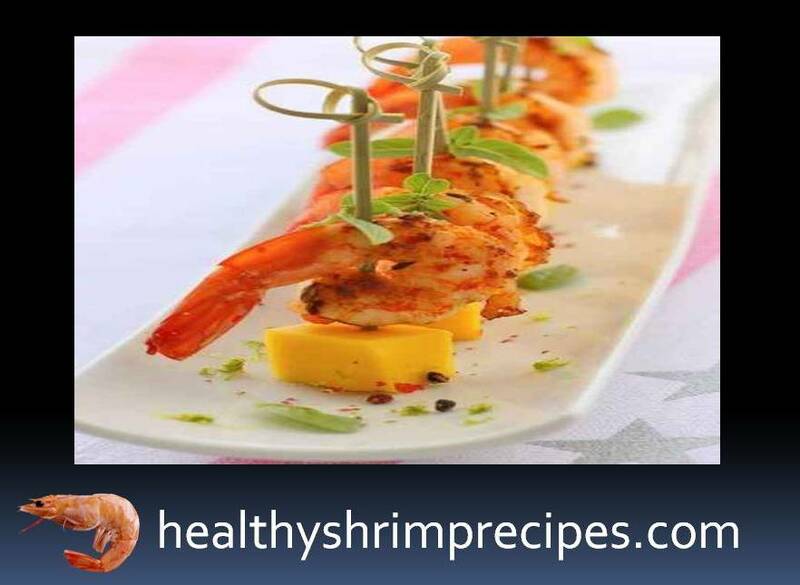 Put the finished shrimp on a paper towel. Sesame seeds fry. When all the shrimps are fried, put them in honey, mix. Put on rice, sprinkle with sesame. How to cook delicious fried shrimp with garlic. 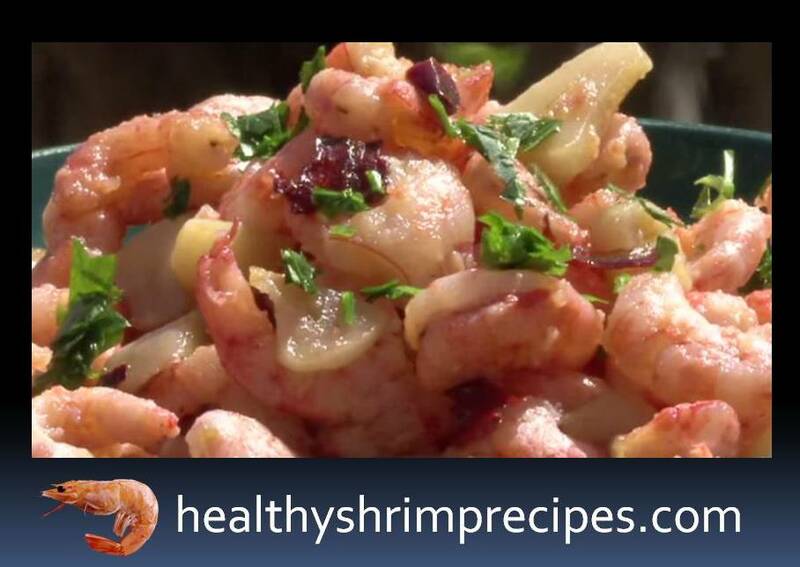 A quick, easy, healthy shrimp dish that is cooked in minutes. salt, parsley fresh - to taste. Peel the garlic and cut into slices. Chop chili pepper. Shrimp peel. Heat the pan, add butter, garlic, chili and fry slightly. Remove the garlic and pepper from the pan, set aside. 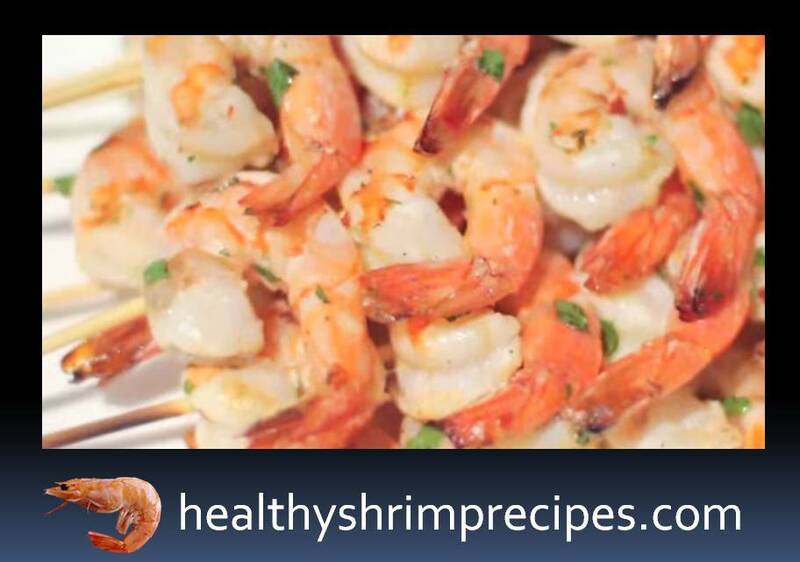 In the same oil, fry the shrimp for 3 minutes. Once the shrimps are ready, return the garlic and chili to the pan and salt. Cook for another couple of minutes and serve immediately. Sprinkle with fresh parsley. How to cook delicious shrimp grilled or barbecue. 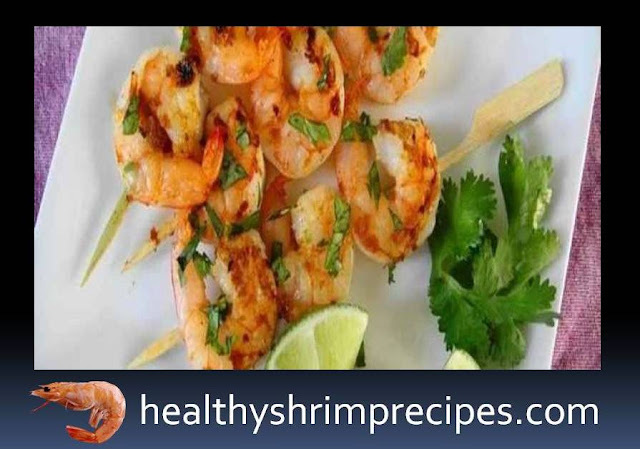 Shrimp, pickled in a mixture of lime, garlic, and parsley for 30 minutes, then grilled. It can be served as a starter or as a main course. Scallops are also good for this recipe. Squeeze the juice from the lemons. Crush or chop the garlic. In a separate bowl, add 4 tablespoons of olive oil, 4 tablespoons of lemon juice, 1 tablespoon of chopped garlic, 3 tablespoons of chopped parsley, a little-dried chili, black pepper. Mix everything thoroughly. Add peeled shrimps to marinade, mix and put into the fridge for 30 minutes. At this time, soak the skewers in water for 15 minutes so that they do not burn during frying. Put shrimp on skewers. Grill for 2-3 minutes on each side.